Today is an incredibly special day. 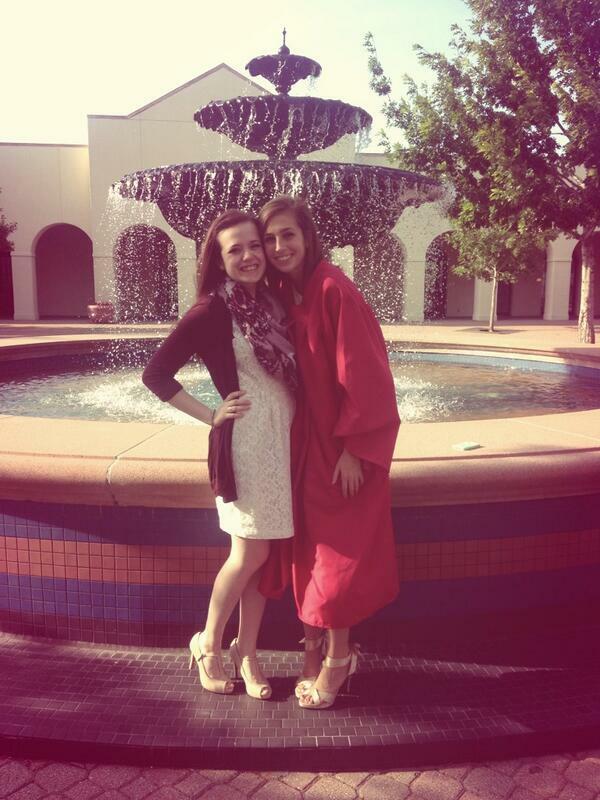 It’s not that my sister graduated. Because that’s in, like, two weeks. But at our church, the seniors were honored tonight! So they wore their graduation gowns to mass and there was a special dinner for them and it was all very awesome and touching and sad because in the past year, I’ve grown so close to several of these kids. They’ve become an extended family. Being a part of high school ministry is so bittersweet. It’s beautiful to watch these kids grow in their faith, to come into their own as young adults, to listen to their witness. I feel privileged to walk in their light and to experience this phase of their journey with them. I may have only known them for a year (minus my sister… she’s been stuck with me forever) but they are so special to me! I feel like words are so inadequate. I know these young men and women have so much to offer the world. It is sad to see them leave St. Ann, but there is a big world out there that needs what they have to offer. I’m so blessed to have been a small part of that. 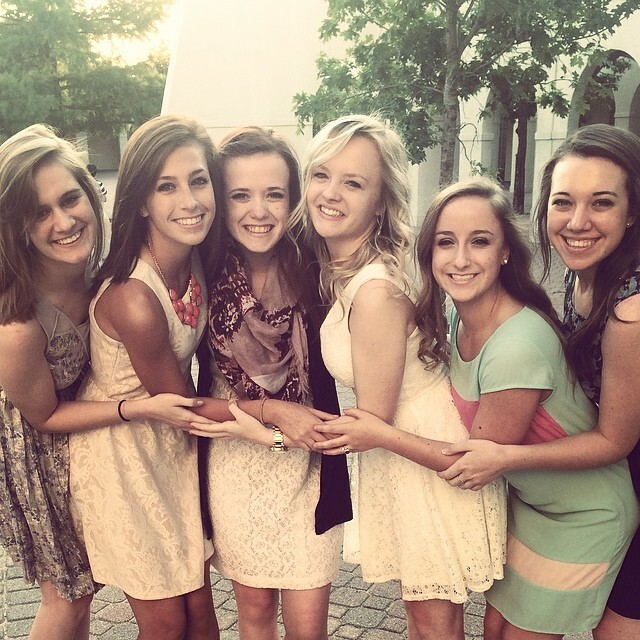 These girls are so beautiful, and so full of the light of the Lord. It is impossible to be around them and not feel that love radiating. They have faith that I would not have imagined at their age. I feel like Regina’s mom sometimes but only because I have so much love for them and I want them around all the time. It’s going to be a rough life when they all leave me in the fall. But I know that they are bound to do some wonderful things, and I can’t wait to see them! I love you all so much. I am so proud and I believe the best of you. As St. JPII reiterated over and over: Be not afraid. Not Alone Series | Why Not Both? Today we are discussing the difficulties that single people (read: unmarried) and married face in friendships with each other. Unmarried people do not know what it is like to be married, and newlyweds are caught up in the romance of their new life. Truth be told, most of my friends are single/unmarried, and we spend a lot of time talking about what it will be like to be married. I think we might fall into a “grass is greener” complex, where we assume that marriage tends to be butterflies and roses, while being single is like being in the trenches. And while I know very few newlyweds, my friends who have been married a long time have made it clear that marriage is a battle as well. Being married is not a free pass to an easier life. And obviously, no man can ever do that for me besides Jesus. And it is so easy for me to lose sight of that. I don’t know if people who are already married struggle to see that truth, but I know that I cannot get married to someone until I believe that wholeheartedly. I want to think that being married won’t change how I relate to my unmarried friends. I know that priorities shift, and in marriage, the two become one, but I would like to believe that my future husband will understand the importance of healthy friendships beyond our union. As an oldest daughter, born to an oldest daughter, born to an oldest daughter (the cycle might not end there, but I got tired of asking), nurture is in my nature. I have a sixth sense for those who need affection and I tend to be drawn to those people. At my job, I have two girls who call me Mama, just because they know that I love them. And that isn’t unusual for me, and I would hope being married wouldn’t change that. I wouldn’t want a husband to prevent me from fully loving the people around me. Love should always multiply. The more we love the Father, the greater our love for those around us. I think that whoever I marry will recognize my need to have relationships beyond ours, to share the love between us with those outside of our marriage. I think it’s totally possible to have both/all. Jesus, husband, friends… Each are good, and necessary, and through the first, bring immeasurable joy to our lives. Now, head over to see the wonderful Miss Jen, who is hosting this week, and be prepared for another post from me soon. Love you all so much. 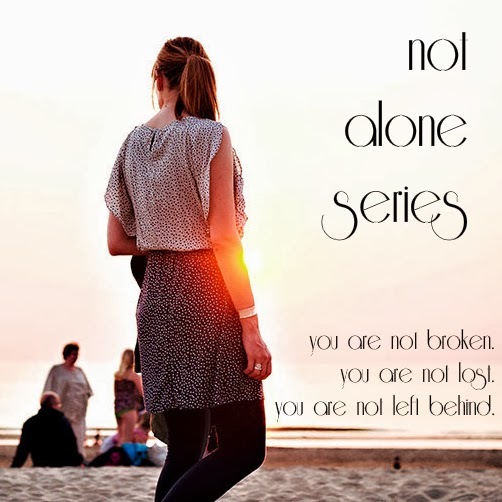 Linking up with my friends at the Not Alone Series! 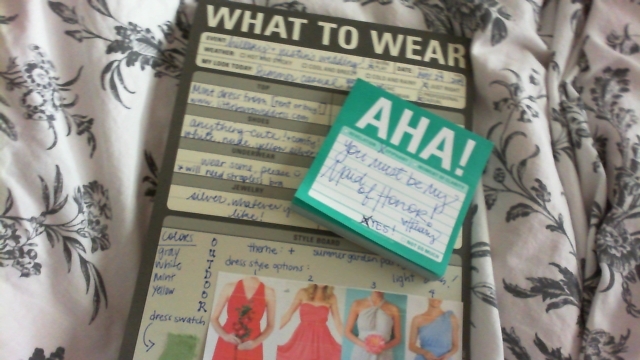 This week’s theme is bachelorette parties, and as I’ve mentioned, I am the Maid of Honor for my BFF Hillary‘s impending wedding, and my MOH responsibilities include the planning of the Almighty Bachelorette Party. *note: the video you are about to view has some explicit language towards the end and also they are talking about the shower, and not the bachelorette party, but it still applies. But on the reals, the bachelorette party has become the climax of all wedding-ness. “Last fling before the ring!” and “I’m tying the knot so buy me a shot!” are phrases that imply that the bride needs to engage in one last night of “freedom” before signing her life over. Now, I happen to know that Hillary does NOT feel this way about marriage. She could not be more excited to begin a life with Justin and the sacrifice of the “party lifestyle” for the sake of her Beloved is one that she is absolutely willing to make. To start, being in charge of the planning means I get to do what I want. And I don’t want anything phallic so it just won’t be there. Problem solved. Second, one of the bridesmaids offered to host the party at her house! No need for a hotel or anything and that also means we can control how out-of-control things get. We are planning to go to one of those places where they serve you wine and you paint something- gets everybody out, which the party-hard guests will like, but is low-key enough that hopefully nothing major will happen. Then we will go back to the house and just chill. Hot tub, Just Dance, a baked potato bar… Nothing extreme, but still so much fun! Also, I’m including a lingerie shower as part of the BP. That way, there can be a little bit of the traditional BP vibe without anything excessive. The nice thing is that I know Hillary, and her bridesmaids know her, and we are all very aware that she is not “that” kind of girl. Something that is mostly at home with her close friends is far more her style than a night out on the town, begging for liquor from strange men. Also, the party is two days before the wedding so there really isn’t time to recover from a crazy night el-oh-el. Gotta be pretty for the rehearsal dinner the next night. Joining up for the first time in a shamefully long amount of time with my favorite friends at the Not Alone Series! Go read some people who are cooler than me. This week, the ever-lovely Morgan is hosting and the topic is masculinity. I know as a child of the 90’s, I often think of masculinity as the song from Mulan described it: cunning, swift, strong, mysterious. And to be honest, this belief has never really disappeared, though the context has changed. I love that Men are warriors and I do believe that they are called to a certain strength. However, I think the war goes beyond defeating the Huns and bringing honor to China. Men are called to fight for love. Feminism has really screwed up a lot of how men are portrayed in society. The advent of the Pill, free love, and a warped view of marriage have affected the way Men perceive strength. So often in media, music, and movies, Men have become weaklings. The I-am-Woman-hear-me-roar mentality that has grown through the past 50 years, and increasingly this decade, make Men feel as though they must bow to the desire of the Woman. Woman is free, Woman is strong, Woman does not need Man to open her door for her or be the breadwinner. In some ways, this is accurate. A Woman is not less than a Man in any way. However, as Women, we are not called to the same fight that Men are. When God established Adam and Eve in the Garden of Eden, He gave each of them a special roll: Adam (aka Men) was to shemar Eve, and Eve (aka Women) was to be submissive. OH, NO, UH-UH, GIRL YOU DID NOT JUST SAY THAT I AM SUPPOSED TO SUBMIT TO A MAN THERE AIN’T NO WAY GIRLFRIEND. To which I say… Yes. Yes I did. And, in this case, the Mission is LOVE. Shemar means “to guard and to keep.” Man is literally called to protect the heart of the Woman. To guard her from the Devil, to keep her close to himself and to the Lord, to draw her into Love at all times. He is called to be her Warrior, her Defender, the very image of Christ on the Cross. True Love, Authentic Love, comes from a Man seeking to reflect Christ to his Woman. To die to himself for the sake of the Woman. This goes beyond chivalry (though that is one of my favorite parts about it!) to an actual daily death to self for the sake of the Beloved. And that is awesome. Though fighting the Huns is pretty cool too. Next week, the topic is Bachelorette parties, which could not be more perfect as I am currently planning Hillary‘s ! Such fun. It’s been a while, I know, and I’m sure that none of you noticed my absence but I am here to announce my presence (so many much words)! Hooow have you all been?! I missed you. I’ve been absolutely slammed up against every wall imaginable in my life. So. Many. Things. Holidays! Halloween, Thanksgiving, Christmas, New Year’s, Valentine’s day… It all happened, and I was there. And I celebrated them all. I started another blog with my best friend Hillary! It’s a craft/fashion/lifestyle-y blog so check it. I know you want to. I started school- I know, you’re shocked. I can tell. But it’s true. I’m studying interior design at the Art Institute of Dallas! Set to graduate Fall 2016, so pray for me that it actually happens that way. I, uh, started dating. For privacy’s sake, I’ll keep his name off el blog. But he’s a super great guy. We met at my TXBFF’s birthday party, they’ve been friends forever. And I wasn’t sure if I was ready to date, but I knew I liked him. He wore me down eventually, mostly by just constantly pursuing me and my heart even after I gave him so many chances to leave before things got messy. And he’s still around, and- fingers crossed- will be for a while! I’m in the midst of getting everything ready for Hillary’s wedding! The bridal shower is just over a month away, then there’s a second bridal shower in April, and then the whole shindig goes down in May! Bachelorette party, lingerie shower, rehearsal dinner, wedding… All in just three months’ time. I can’t believe that it’s so close! School is kicking me so. hard. so if it crosses your mind, pretty puh-lease say a little prayer for me. Think of it as a Lenten sacrifice or something. It’ll make you holy. 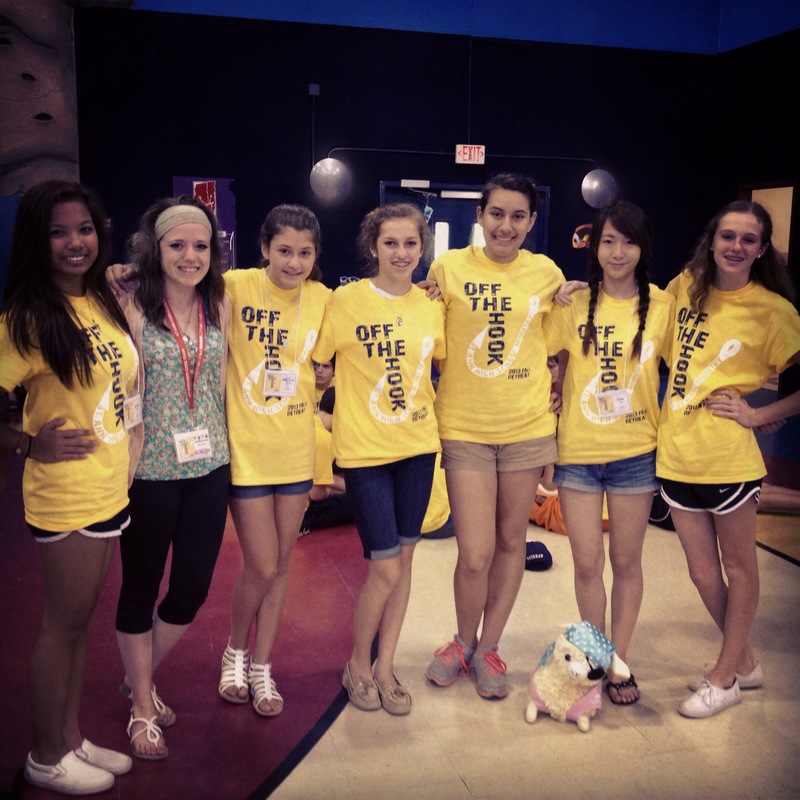 Additionally… this weekend is the confirmation retreat for St. Ann’s in Dallas! I’m on the ROC (Rite of Confirmation) core team, so I’ll be attending the retreat from Saturday morning to Sunday (because work and nonsense) but they’ll be on retreat starting Friday afternoon. The youth minister informed us that there are looots of teens with some pretty heavy stuff going on (I have one who is six months pregnant, at 15) so if you could just lift up the retreat and these kids this weekend, we would so appreciate it. Y’all are the very best. Thanks for sticking with me, despite my severe absence from da blog. I’m not going to promise to do better, because we all know I won’t, but know that I’m thinking of you. I don’t know how buuuut even though I post never, people keep reading this blog? There’s been one day in past 27 days with zero readers? So I apologize for the fact that the last thing I wrote was so awful… I was having a terrible day with terrible luck. I literally wrote that from my phone as it was dying at the DMV in downtown Dallas, having previously gotten lost and run a red light… So many much bad things of that day. Also, my heart was sad because it meant I was officially official because Black Betty and I were BOTH Texans. I should point out, though, that there are worse things and Texas is –ahem– growing on me and I am –ahem, ahem– starting to like it here? Not sure how thaaaat happened, but it has. So, dear friends, I apologize that for nearly a month, any new readers have viewed me as a hateful, awful, terrible human being. Because really, I am, but I try not to be and I try not to let that be my public image. Also, double apologies to my twitter followers and everyone who talked to me while I was at said DMV because I was a baging ritch (swap first letters of both words, and you’ll understand) and I can be pretty ferocious when filled with wrath. Especial sorry to my wonderful daddy who metaphorically held my hand as I was tantruming over how awful life was that day. You da best. Anyhoooo. Life in Texas. Here’s a not-brief recap of life since Labor Day weekend when I went on that church retreat? The retreat was WONDERFUL. I had a group of wonderful little nuggets. They are freshmen and, despite being a little swayed by some worldly ideals, pretty much get it. They desire to live holy lives. They know that a holy life is worth it- at 14! And all except two actually wanted to be there! I mean, everything about it was great. A little after the retreat, 242 began at St. Ann. The name 242 comes from Acts 2:42 (you’ll have to scroll down a bit): “These remained faithful to the teaching of the apostles, to the brotherhood, to the breaking of bread and to the prayers.” This is how we hope to form disciples. Pretty sweet. Anyway, I have thee. best. group. They are just so sweet. Mostly sophomores with a handful of freshmen. Their hearts are open and they are just thirsting for Jesus. They are open to the challenge of weekly, if not daily, scripture reading! I can’t handle them. In the best possible way. Three weekends ago, I went to visit my sweetest friend, Hillary, in Tulsa for her birthday! Some not great things, like my tire blowing out, happened. But otherwise, it was wonderful to see her. She asked me to be her Maid of Honor and of course I said YES! I’m so excited for what’s to come in planning this wedding between two wonderful friends and all around good people. Then, two weekends ago, I went to my heart-state to visit my old discipleship group and my lovely friend, Julia, for her 21st slash golden birthday. It was such a great weekend. We went to the Florida Georgia Line, Thompson Square, and Luke Bryan concert and man oh man if I never go to another concert again, I’ll live, because it was perfect. Just, so perfect. Despite how wonderful it was to go home for a weekend, I was actually ready to come back to Texas… I don’t know who I am anymore. Obviously the Lord is doing something because I don’t think anyone thought we would see the day where that was the reality. Yet, here it is. All in all… I’ve been busy. But I missed you! I’ll do my best to never abandon the blog again but we all know that I lack sincerity when I say that because I think this is the 20th time? Anyway. Happy Feast Day, all you Franciscans! Prayers to youuu. I don’t know if you’ve ever had the unfortunate experience of being at the DMV and being one piece of paper short of everything you need, but it’s the worst. THE WORST. DON’T EVER DO THIS. I am here, in downtown Dallas, about to shoot myself if the face. I can’t. If you see this, and have my current insurance card and a spare 45 minutes, could you bring it to me? Much obliged. In the mean time, I’ll be here, cursing and adding time to how long I’ll be in purgatory. never miss a post- by entering your email, you'll get notified whenever something is posted! We like to talk about The Bachelor, Bachelorette and Bachelor In Paradise. Usually in a witty and sarcastic manner. celebrate style. celebrate creation. celebrate sisterhood. celebrate your sparkle. For the next 2.5 months, I want to blog of our 2nd experience in Japan at this WordPress.com site. Hope you enjoy! Wisdom and Hope For Single Girls!